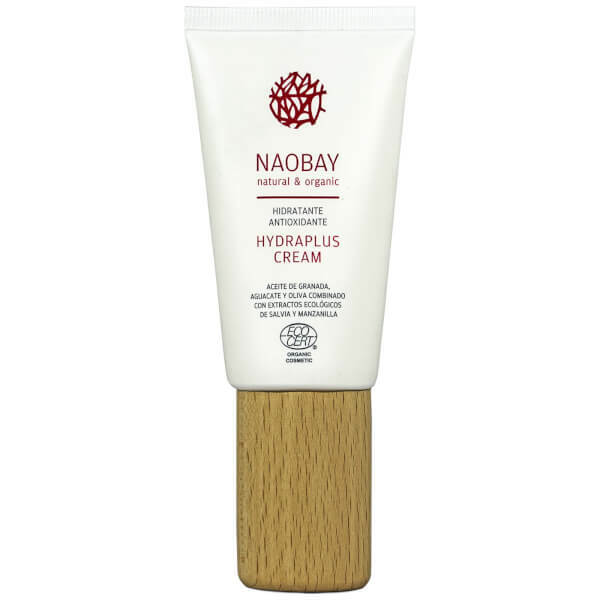 Replenish and hydrate thirsty skin with the HydraPlus Face Cream from NAOBAY (Natural And Organic Beauty And You). Fortified with Sage Extract and Olive Oil, the fast-absorbing formula penetrates into deeper layers of skin to deliver optimum moisture, revealing a soft, smooth and revitalised complexion. A nourishing blend of Aloe Vera, Marshmallow and Chamomile Extracts work to protect against environmental aggressors, whilst reviving radiance and combating dryness. Experience a rejuvenated, luminous complexion with restored comfort and a healthy-looking glow. 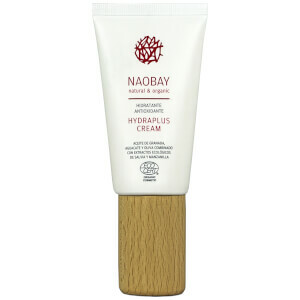 Ideal for dry, damaged skin. Aqua, Aloe Barbadensis Leaf Juice*, Caprylic /Capric Triglyceride, Olea Europeaea Oil*, Propanediol, Polyglyceryl-3 Dicitrate/Stearate, Butirospermum Parkii Butter*, Glycerin, Glyceryl Stearate, Persea Gratissima Oil*, Stearyl Alcohol, Althaea Officinalis Root Extract*, Chamomilla Recutita Flower Extract*, Salvia Sclarea Extract*, Dehydroacetic Acid, Benzyl Alcohol, Potassium Sorbate, Acid Citric, Parfum, Citral, D-Limonene, Linalool.